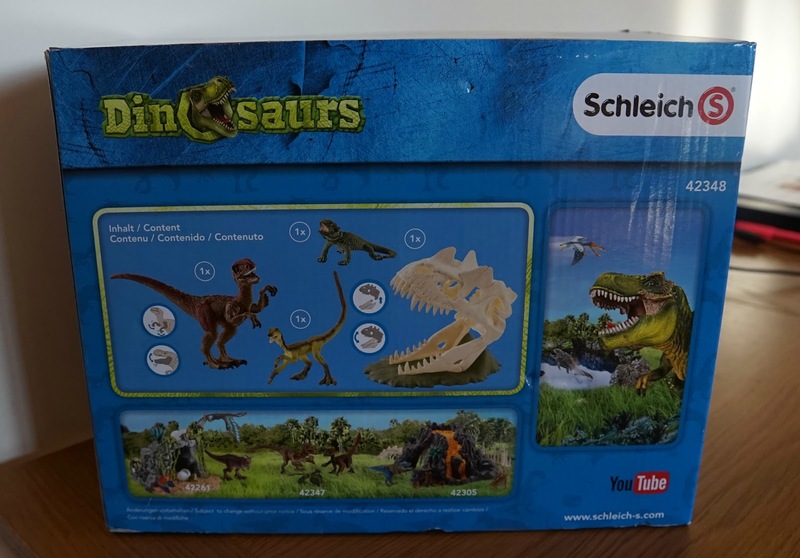 We are big fans of the Schleich toys and they have featured many times on the blog. Most recently we reviewed the brand new Thor figure from the Marvel range. 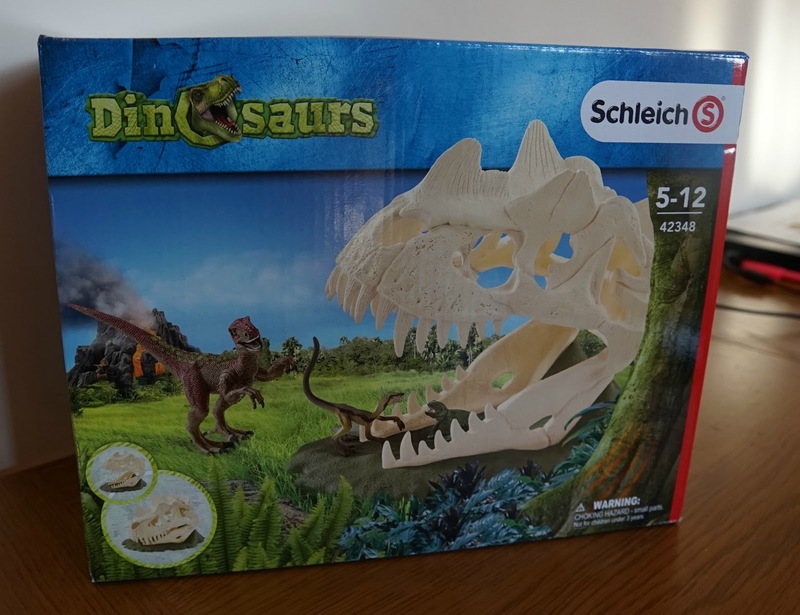 Our next item to review was the Large Skull Trap with Velociraptor - a fantastic toy, perfect for any little dinosaur fans! 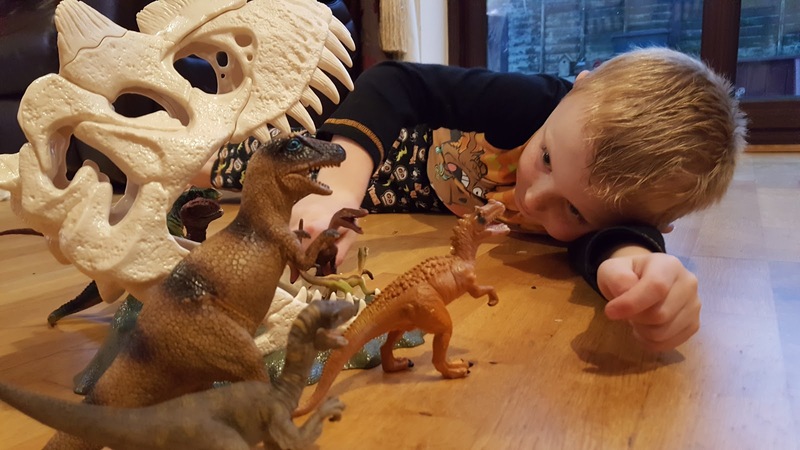 This one was right up Elliot's street, he is obsessed with dinosaurs and has literally played with this everyday since it arrived! The trap is a large dinosaur skull which has a moveable jaw that can be adjusted to open in two positions. When you press the snout, the trap snaps shut! I'm not an expert on dinosaurs but it looks pretty lifelike to me and even comes with a full set of teeth. These may look sharp but they are actually made of soft plastic which makes the skull nice and safe to play with and with no risk of getting nipped by a dinosaur. 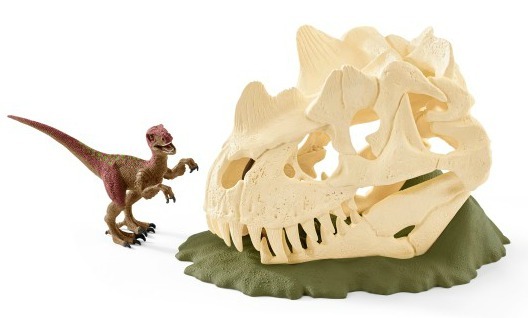 The skull comes with a fearsome velociraptor who has moveable arms (and extra sharp claws! ), along with a Compsognathus (a two legged carnivore around the size of a pheasant) and a small lizard. As with all Schleich toys, the quality is outstanding and the dinosaurs and skull are so well made. The figures are all handpainted and feature so much detail, like the pattens on the back of the velociraptor. Elliot has had lots of fun playing with this set and really enjoys getting all his dinosaur figures out and pitting them against the skull to see who gets trapped!